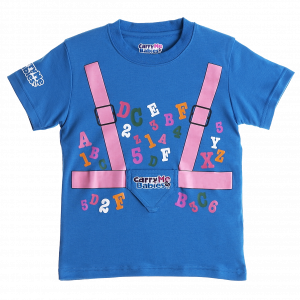 This generic T-shirt carrier was created to help educate children from get go, this cute Carry Me Babies design was made to help with early literacy and to teach coping skills to infants and toddlers. Our nurturing t-shirt carrier provides comfort during transitions and times away from mom, dad or guardian. (Doll not included) You can choose a doll from our collection! 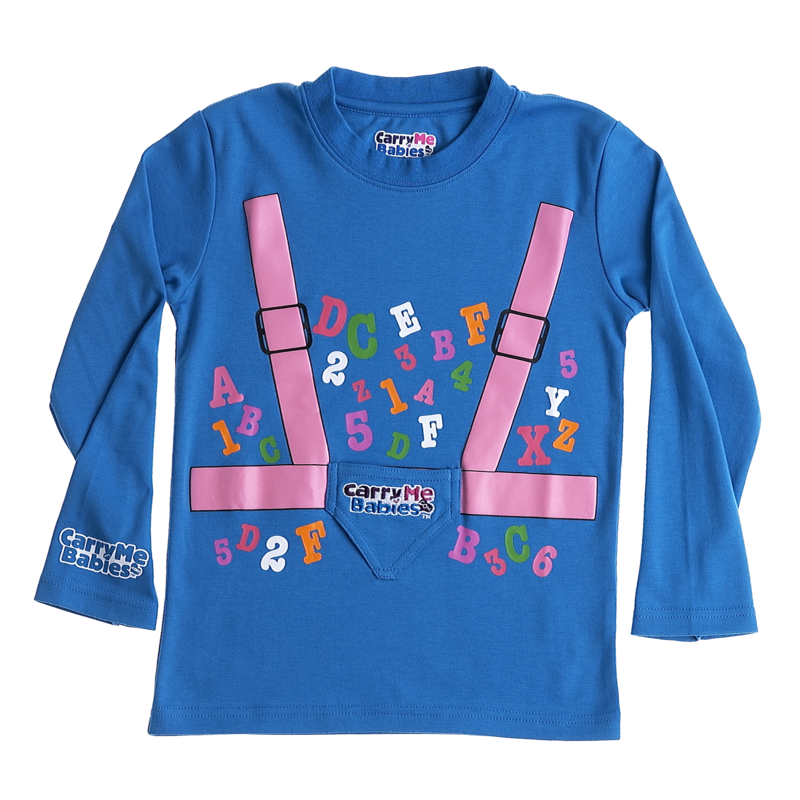 Wendy Whiner, Scruffy Ruffy, Gabby Abby, and Smiley Kylee are matched to our generic 100% pre-shrunk bright blue cotton which is complimented by educational alphabetical letters and numeral numbers.